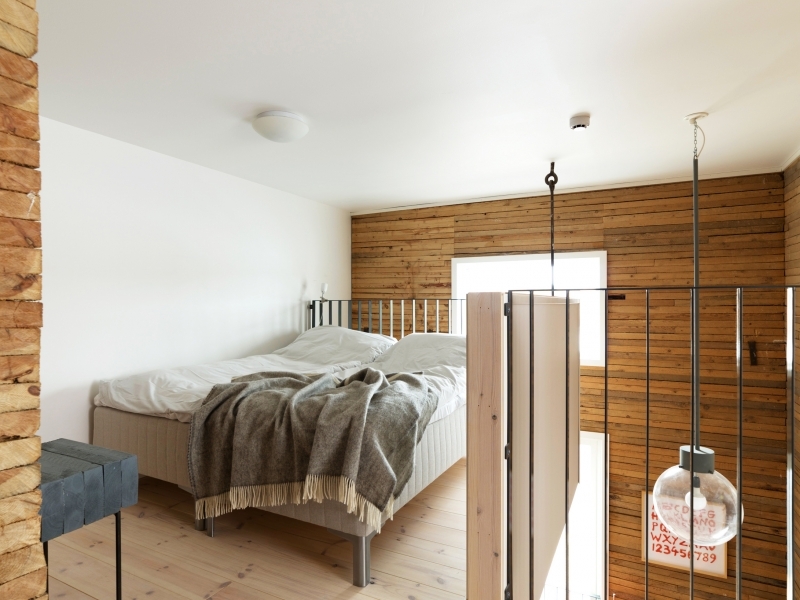 At Upperud 9:9 you stay in the 100 year-old old silo with solid wooden walls constructed by thick horizontal planks. The five individual rooms are nestled into original exposed structures where you can still find a grain of wheat or rye in the gaps between the planks. 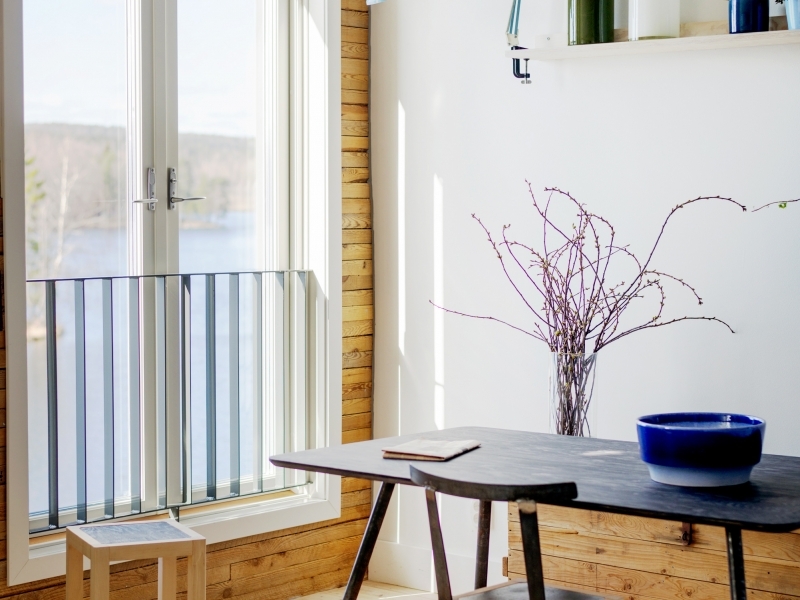 French balconies let in the crisp Scandinavian light and stunning views over water in all directions. 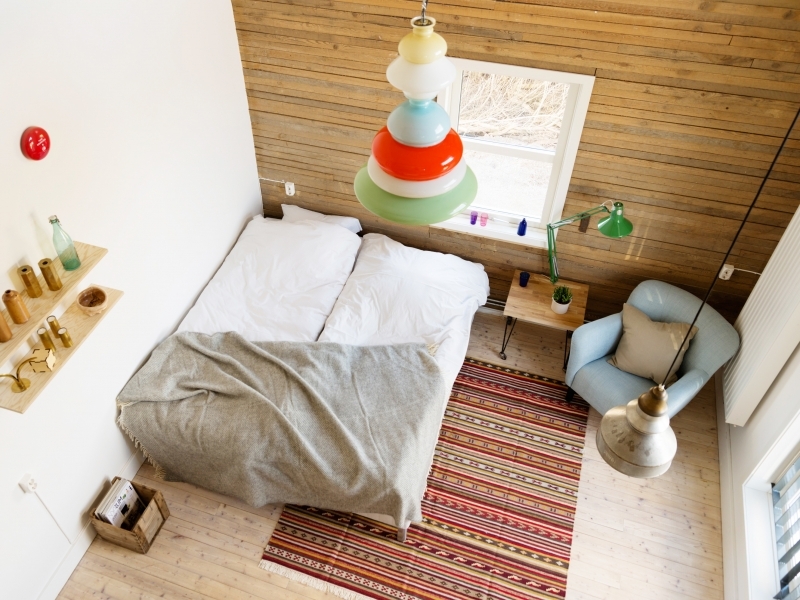 High ceilings allow for the upstairs lofts where you can rest on comfortable beds in natural materials. Stairs or ladders take you there…. Some rooms have stairs and others have ladders taking you upstairs. 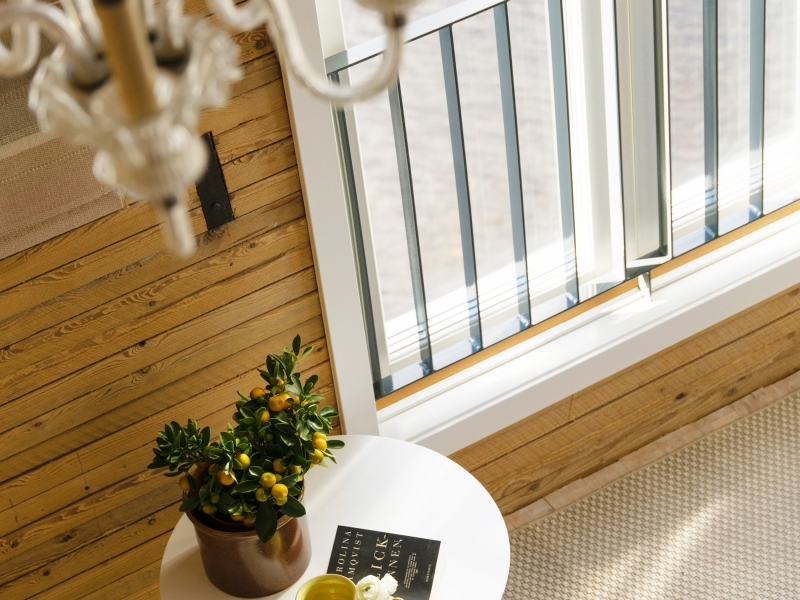 All rooms have four beds, lofts with stairs or ladders, kitchen, WC/bathroom with shower and underfloor heating and free Wifi. Design and form evoke the simplicity. Kitchen equipped with induction hob, microwave oven, refrigerator and dishwasher. Dining table with seats, two armchairs. French balcony with lake view. Double bed 140 cm downstairs. 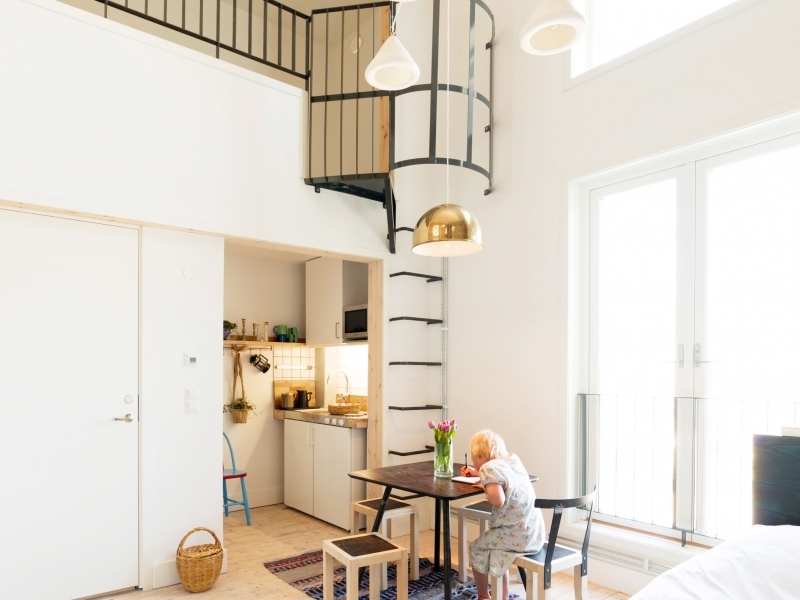 Two separate lofts with ladders, single beds 90 cm. Kitchenette equipped with hob, microwave oven and refrigerator. Dining table with seats, one armchair. Two double beds on linked lofts, by stairs. Lounge with couch and armchair. Two French balconies with lake views. Separate WC and bathroom with shower. Two single beds 90 cm on loft, by ladder.